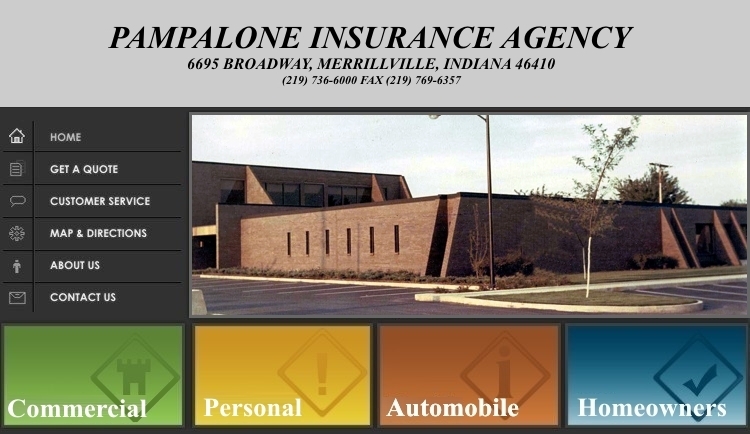 Our agency was founded by Michael J. Pampalone, Sr. in 1939, in Gary, Indiana. Since that time we have grown to become an experienced group of insurance professionals serving clients throughout the United States. We have a commitment to maintain a high standard of excellence in all that we do and to establish a firm relationship of mutual trust and service with each of our clients. We do not work for an insurance company; we work for you. We are on your side when you have a loss and we follow through to see that you get fair, prompt payment. We represent a carefully selected group of financially sound, reputable insurance companies, and we place your policy with the companies offering the best coverage at a competitive price. - Analysis of your complete insurance needs. - We design a responsible protection program for you. - We select the company or companies best suited to your situation. - We present you with a competitively priced proposal. - We move quickly to get a fair and prompt settlement for your claims. - We periodically review the adequacy of your insurance program. - We look for ways to save you money. If desired, we arrange budget payment plans.